There is built in accessibility support for the following Firemonkey controls: TButton, TSpeedButton, TTracker, TEdit, TListBox, TComboBox, TComboEdit, TSpinBox, TLabel, TCheckBox, TRadioButton, TMainMenu, TMemo, TTreeView, and TCustomGrid. If you need to have accessibility support in your own controls there are also instructions for using the IFMXAccessibility interface. I would guess this library also works with AppMethod and we have covered the Delphi XE6 Firemonkey Accessibility pack here. 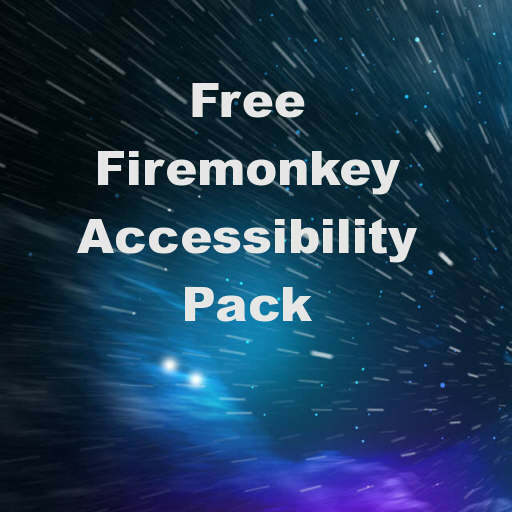 Head over and download the free Delphi XE7 Firemonkey accessibility pack from Embarcadero.